Facebook is eyeing a whole new demographic: kids. The social network on Monday announced a new standalone app called Messenger Kids. It targets children ages six to 12. 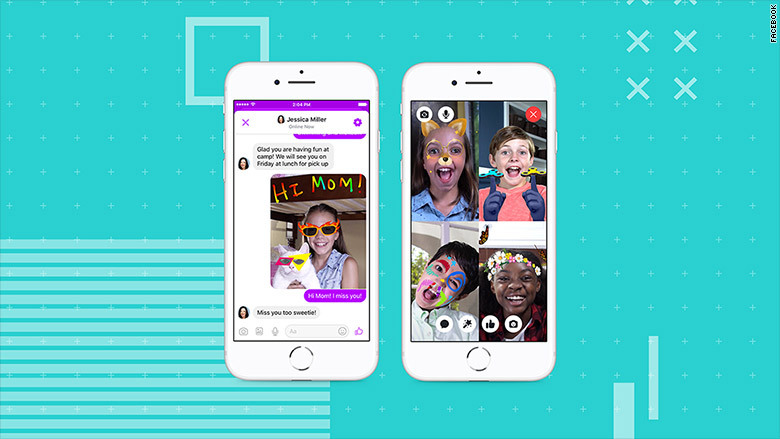 The app allows young users to chat with their friends, make video calls with kid-friendly filters and send age-appropriate GIFs. While this may sounds like a parent's worst nightmare, Facebook said it put safeguards in place to keep the platform safe and private. Parents must set up a child's Messenger Kids account and approve with whom they can communicate (parents must be friends on Facebook to do so). Kids will not be searchable within the app for privacy reasons. "Safety is absolutely the most important concern [and] being able to [know] who they're using the device with," Loredana Crisan, Facebook Messenger's product design director, told CNN Tech. "The ability to connect with only approved contacts is very important for that age range." Children will not be able to access their parent's Facebook account and won't have their own account. Facebook's policy still requires users to be at least 13 years old to sign up for the main site. The company said it will collect "little data" about its young users and will not feature ads or in-app purchases. It will also include tools to report or flag inappropriate content and block users. The biggest theme? 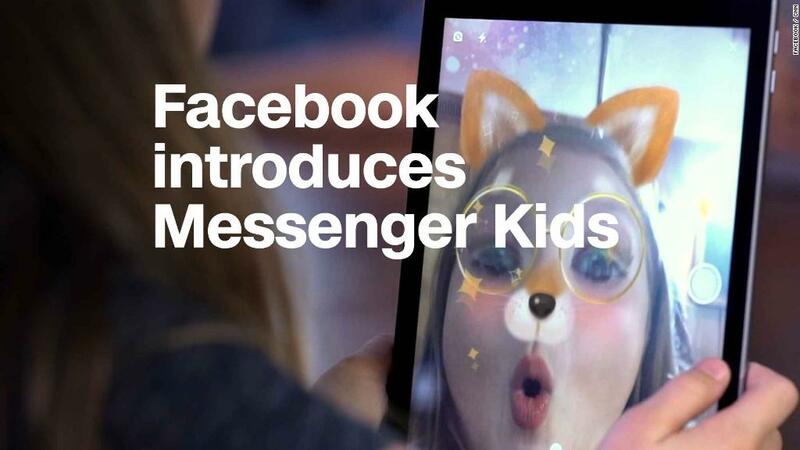 Parents want more control -- and Messenger Kids is Facebook's answer. According to research conducted by Facebook and consultant firm Dubit, about 90% of kids between ages six to 12 have access to tablets or smartphones. Meanwhile, two out of three of those children have a device of their own. It's also a part of Facebook's larger strategy to grow its 2 billion user base. "American parents are really protective of their young kids' privacy and social interactions," said Jenny Radesky, assistant professor of pediatrics at the University of Michigan, C.S. Mott Children's Hospital. "There will probably be a bit of reaction that they're too young and there's a [general] lack of interest for [messaging apps]." "As a parent, I would not be interested in a messaging product for my kids," Radesky said. "Do children really need that yet? You can get a lot of those modalities elsewhere." Facebook isn't the first to create a chat app made for kids. In 2013, Snapchat (SNAP) launched a version of its disappearing photo platform for kids under 13 called SnapKidz. It was a limited version of its main app and didn't let users send or receive photos or add friends. It has since been discontinued. Snapchat declined to comment why when asked. Other messaging apps for kids under 13 with parental controls have had trouble taking off, too. "These things only work if everyone else is on it as well," said Stephen Balkam, founder and CEO of the Family Online Safety Institute and a member of Facebook's Advisory Committee. "It's such a crowded marketplace [for apps]." Facebook could have more success with a kids app considering it is a global brand with a large user base. "You never know, until you put it out there, how it's going to be used and what unintended consequences there might be from what they created," Balkam said. "But from what I've seen [from Facebook], it does look like an incredibly thoughtful approach."